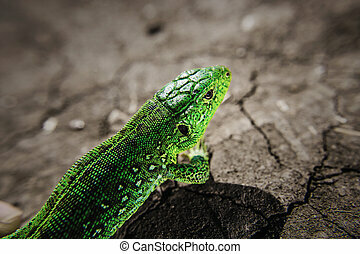 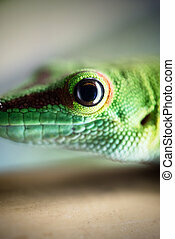 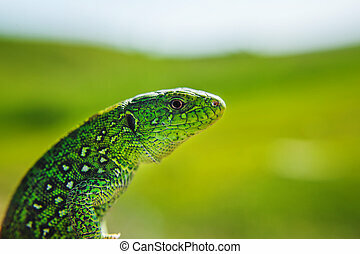 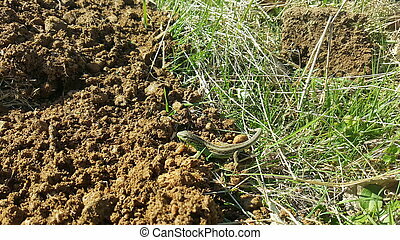 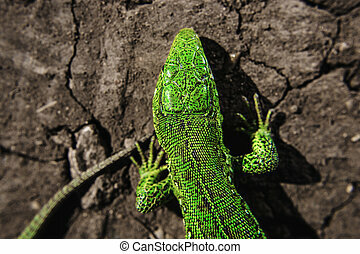 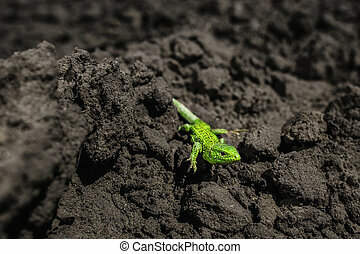 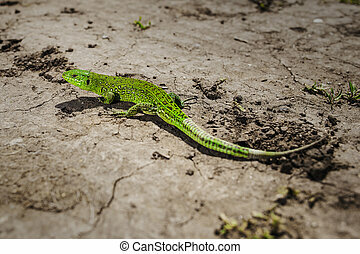 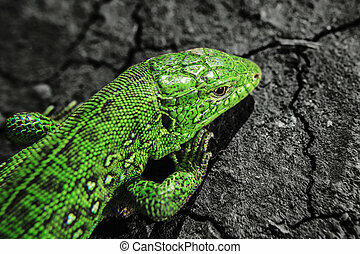 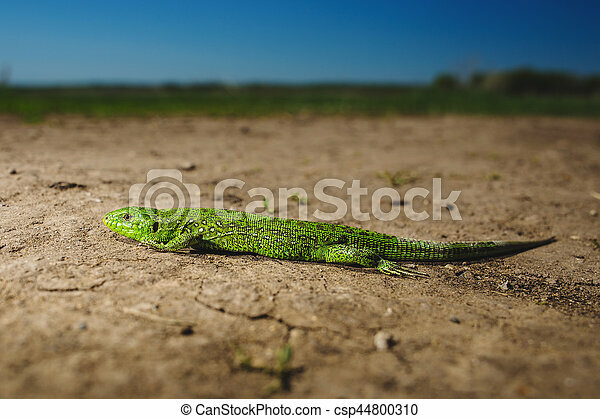 Bright green lizard close-up on ground. 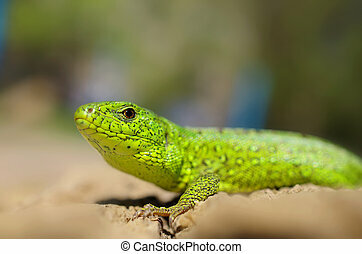 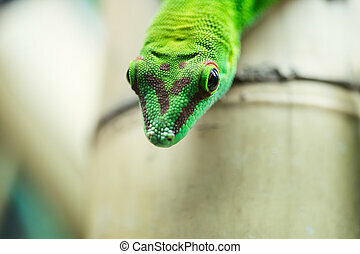 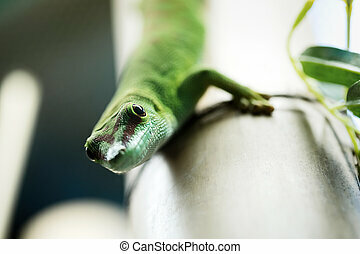 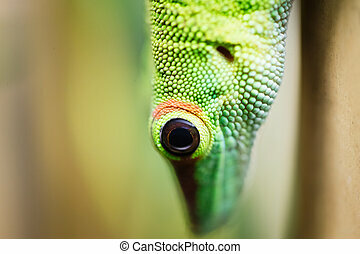 full lenfth portrait of green reptile. 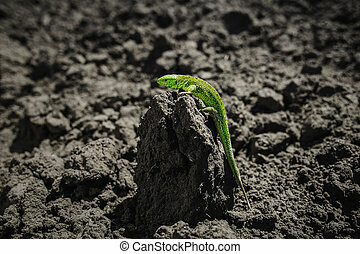 iguana sitting on the stone. 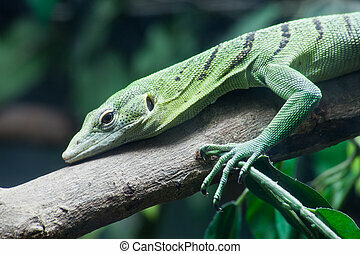 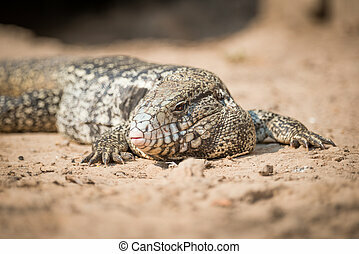 squamata or scaled reptile. 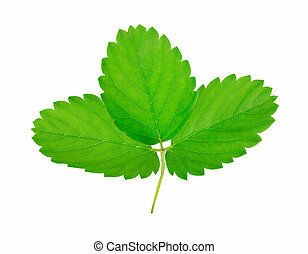 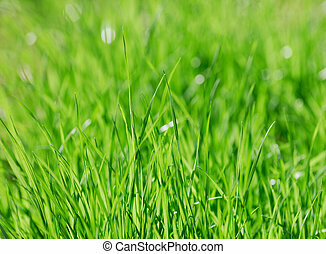 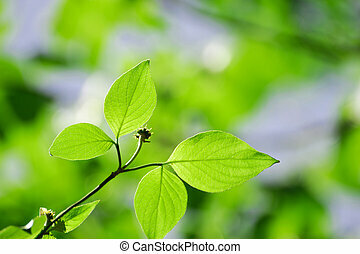 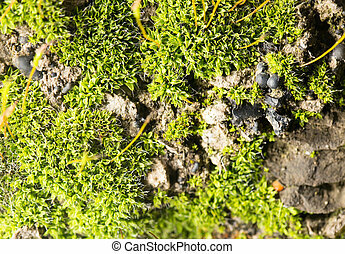 green moss on nature. 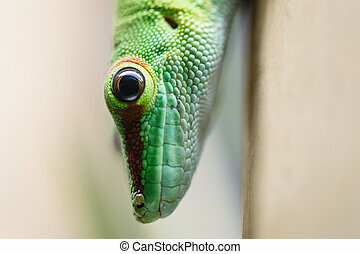 close-up .